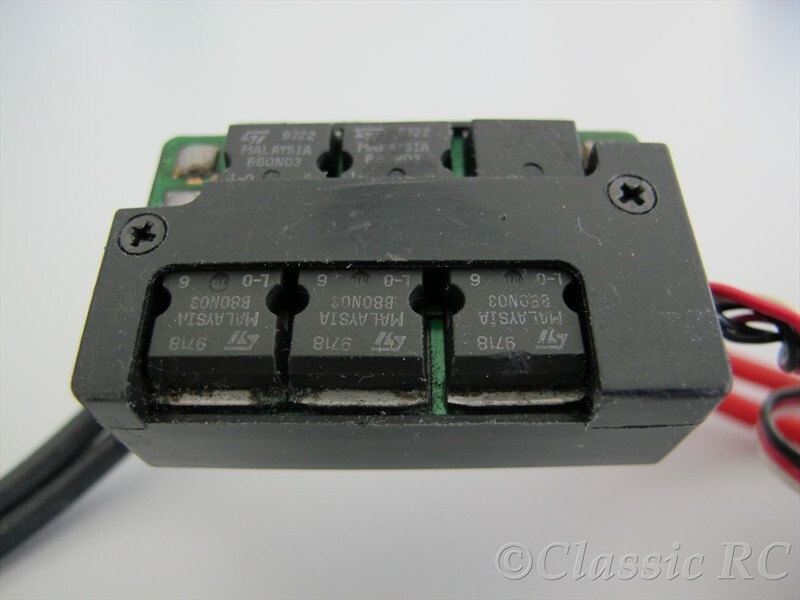 The Tekin G10 ESC was introduced in 1997 and using not a custom IC as most other Tekin high frequency ESC´s but was controlled by a microprocessor, as the 410K. For easy programming of functions two buttons and a row of 10 LED´s were used, Tekin named this “Quicktune Setup”. The powertransistors were mounted laydown to the lower side of the PCB board, new to RC that time but these were not of the small size of later SMD-FET. For cooling of the FET transistors the ESC case had large cutout for airflow. 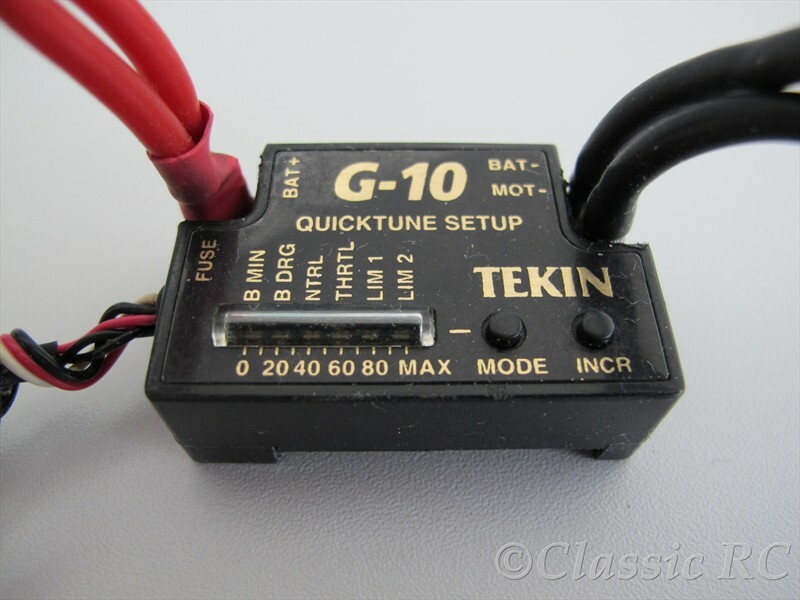 The G10 was the last ESC made by the old Tekin brand held by Kevin Orton. In 2001 Tekin closed doors and was sold to new owner Jim Campbell in 2004. One of the first products of new Tekin was an updated version of the G10.